The underlying source of hammertoes is a problem with the tendons that bend and straighten your digit. When they become unbalanced, the middle joint of the toe can bend and get stuck in a “hammer” position. Many different issues can encourage the connector imbalance that causes this deformity. It could be as simple as wearing shoes that don’t fit correctly. Footwear that puts too much pressure on the ball of the foot or that squeezes your toes can imbalance the tendons. An injury to a toe could also be a cause. Anything that puts abnormal pressure on the toes and balls of your feet can be behind the problem as well, even preexisting conditions like bunions. Abnormally high arches increase your risk. Nerve problems that affect muscles or connective tissues can tighten those structures, bending the toe. Preexisting arthritis could be a culprit, too. If you’re concerned you’re developing a hammertoe, contact Carolina Podiatry Group in South Carolina for more information or to make an appointment to get it checked. You can reach us online or call one of our locations: (803) 285-1411 for Lancaster, or (803) 548-FEET for Fort Mill. How do I pick the right shoe for my sport? Choosing the right sports shoes doesn’t have to be difficult if you know what to look for. In most cases, sports have footwear designed specifically for the motions and stressors they put on the feet. That’s why football and soccer cleats aren’t actually interchangeable, and why basketball and tennis shoes look different. A specialty store should be able to provide you with athletic shoes for your activities. Once you’ve selected a kind that fits the unique demands of your sport, you can start trying on the shoes. The fit is crucial. Make sure your footwear fits in both the heel and the toe. The arch should support you appropriately as well. Make sure the sole has cushioning you need to absorb hard impacts properly. The laces should secure your foot without pinching it, and the toe shouldn’t squeeze your own digits. If you’re concerned about the fit or anything else with your sports shoes, let us know at Carolina Podiatry Group. We’ll help you get your feet measured and fitted for the right athletic shoes. Make an appointment online or call us: (803) 548-FEET for our Fort Mill office, or (803) 285-1411 for our Lancaster office. How does diet affect gout? Diet has a direct effect on gout because the uric acid that causes a gout attack comes from food. Your body creates the uric acid when it breaks down the purines in certain foods. When there’s too much uric acid in your blood stream, it crystalizes and settles in your joint spaces, causing gout. By eating gout-safe foods and avoiding ones that have high purine contents, you help control the levels of uric acid in your blood. This decreases the odds of a flare-up. This means sticking to a strict diet. You’ll have to cut out or limit red meat. Many types of seafood, including anchovies, scallops, and tuna, are bad as well. Cut out alcohol as much as you can, too. Beer and liquors are especially bad for gout. Instead, consume lots of water, fruits and vegetables, and moderate amounts of whole grains. Lean meats and low-fat dairy products supplement your protein. If you’d like more help managing your gout, or you’re concerned your diet puts you at risk for it, let us at Carolina Podiatry Group know. You can make an appointment online, or call: (803) 285-1411 for our Lancaster office, or (803) 548-FEET to reach us in Fort Mill. There are actually many types of arthritis. A few of them are frequently found in the feet and ankles, however. Osteoarthritis is the most common one. Years of friction, stress, and wear and tear damage the protective layer of cartilage. The tissue becomes rough, frayed, and thin, allowing the hard bones underneath to rub against each other, inflaming and stiffening the whole joint. Rheumatoid arthritis is an autoimmune disease. The body’s immune system attacks and destroys tissues protecting the body’s joints, deforming them. Post-traumatic arthritis develops after a serious injury. The damage permanently injures the protective cartilage and encourages it to wear away. Gout actually fits into this list as well. Although a highly unusual form, it’s also a type of arthritis that affects the feet. No matter what type of joint condition you have, however, you need to work on managing it to keep your feet moveable. Our team at Carolina Podiatry Group can help you with this. Just make an appointment at one of our South Carolina locations online. You can also call us: (803) 548-FEET for our Fort Mill location, and (803) 285-1411 for our Lancaster office. How can I correct my child’s clubfoot? Clubfoot is a common lower limb deformity for babies, so many treatments have developed over the years to eliminate it. Conservative methods are highly successful when started early enough. Typically, specialists like our team at Carolina Podiatry Group start not long after your baby is born. We evaluate the extent of the condition, then begin therapy. The most common method uses a combination of stretching, manipulating, and casting the feet to straighten out the clubbed one. First we gently stretch and manipulate your child’s foot into a straighter position. Then the limb is casted into place. After roughly a week, the cast is removed and the process repeated. This continues until the foot is straight and stays in a normal position. At this point, some children need a minor procedure to lengthen their Achilles tendons. Afterwards a final cast is used for several weeks. Once this is complete, your child will wear special foot braces for an extended period of time to prevent the problem from returning. Let our team at Carolina Podiatry Group take care of your child’s clubfoot today. Just call (803) 285-1411 for our Lancaster, SC, office, or (803) 548-FEET for our Fort Mill, SC, location. What kinds of conditions can affect your toes? Many different conditions can affect your toes, from common issues like bunions and hammertoes, to the uncommon ones like Freiberg’s disease. Some toe problems specifically affect the skin and nails, such as black nails, corns, calluses, nail fungus, and ingrown toenails. 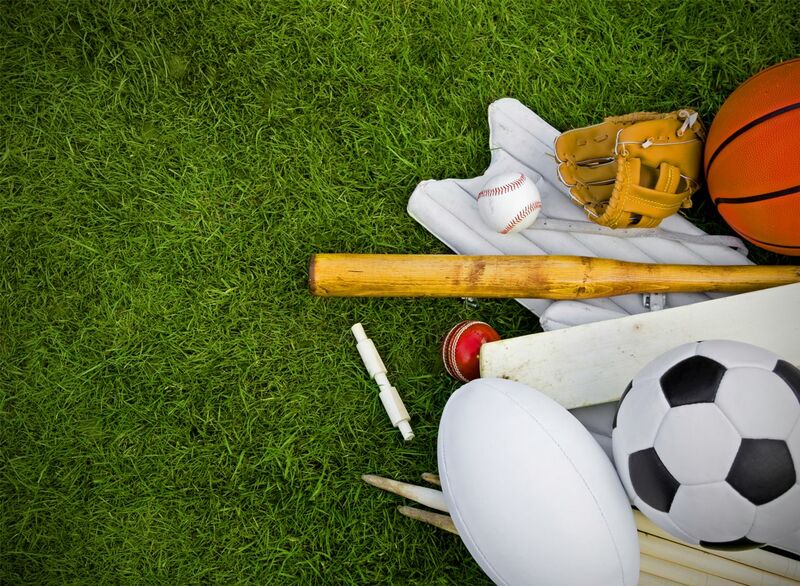 Sports injuries may affect your lower digits, particularly turf toe and fractures. A tailor’s bunion causes a deformity in your smallest toe, while capsulitis affects the supporting tissues around a toe joint. Multiple types of arthritis can damage these joints as well. Even Morton’s neuroma can cause nerve pain that radiates into your digits. Any of these toe injuries can cause significant discomfort and make normal foot functions difficult. You don’t have to suffer with toe pain, however. Taking care of your toes and getting treatment for whatever condition arises helps keep your lower limbs healthy and functional. Contact Carolina Podiatry Group for an appointment to take care of your toe problems. Call either of our office locations: (803) 548-FEET in Fort Mill, or (803) 285-1411 in Lancaster. A bone spur is the result of calcium deposits that build up and form a bump on existing bone tissue. These growths do not have any actual symptoms or cause discomfort on their own—so you could easily have one without even knowing—but you might experience pain when a spur presses against soft tissue. This is especially the case for spurs that develop in the feet and face pressure from footwear, especially in the heel area. The majority of treatments for bone spurs are centered on alleviating the pain and any other issues that may arise. These are often conservative in nature, but a bone spur that presses against a nerve or restricts your range of motion may need to be removed with surgery. No matter what kind of treatment you need, you can find peace of mind knowing that Carolina Podiatry Group is here for you. Our expert staff will begin with nonsurgical methods to ease the pain, but are also highly-skilled at foot surgery for when such procedures are necessary. Contact us today by calling our Lancaster, SC office at (803) 285-1411, our Fort Mills office at (803) 548-FEET (3338), or our Chester office at (803) 285-1411. What are my options for treating flat feet? The treatment options for flat feet often depend on the source and severity of your condition. If the problem is not causing you pain or other complications, then no treatment may be needed at all. If you experience foot pain, or overpronation causes problems farther up with your ankles, knees, hips or spine, conservative treatments such as rest, ice, and stretching may be recommended. Stronger conservative options may include physical therapy, pain medications, or orthotic devices. In severe cases, surgery may be seen as the best option, but again it depends on the specific case. Procedures may include ankle bone fusion, removal of bone spurs, and lengthening the tendons. Surgery is only considered when other options would be ineffective or have already failed. Call Carolina Podiatry Group for help and expert guidance in treating flat feet. You can reach our office in Lancaster at (803) 285-1411 and our office in Fort Mill at (803) 548-FEET (3338). Why are my toes tingling? Toes tingle for a variety of reasons, though neuropathy is the most common. This condition is the result of damage to nerves in your body, usually in your extremities. Typically this causes weakness, numbness, and burning or pins-and-needles sensations in your lower limbs. Many different conditions can contribute to damaged nerves. Perhaps the most well-known and the most common is diabetes. There are, however, other issues that can create tingling toes. Autoimmune diseases like multiple sclerosis target the nerves specifically. Extreme vitamin deficiencies, especially vitamin B12, allow your nerves to lose some function. Chronic substance abuse like alcoholism permanently damages nerve tissue. Pressure on or trauma to specific nerves can impair it as well. Inherited disorders, toxins, serious infections, cancer, and a few other problems can all contribute to neuropathy. The most effective way to deal with the tingling is to treat the underlying issues as well as the symptoms. Let our team at Carolina Podiatry Group help you deal with your uncomfortable toes. Just use our online form or call one of our offices to make an appointment: (803) 548-FEET for Fort Mill, SC, or (803) 285-1411 for Lancaster, SC. How do I know if I should get bunion surgery? Whether surgery is right for your bunion or not depends on your unique feet. Several factors can help you decide to either choose bunion surgery or stick to conservative treatments. In most cases, noninvasive care is very successful for alleviating pain and managing the deformity’s progression. Orthotics, shoe changes, padding, and even physical therapy can all benefit you. These methods don’t work for everyone, however. Surgery for a bunion is usually reserved for feet that aren’t responding to conservative methods. This means you’ve tried noninvasive treatment for some time, but you still have pain and may not be able to wear many of your regular shoes. You’ll probably have swelling and notice your big toe slanting toward your other toes or find that you cannot walk well and struggle to perform normal daily tasks as the deformity worsens. If any of these symptoms describe your painful bump, you’d probably benefit from a bunion procedure. Let our staff at Carolina Podiatry Group help you decide what’s best for your feet. Use our website to make an appointment, or call: (803) 548-FEET for Fort Mill, SC, or (803) 285-1411 for Lancaster, SC. Is your toe broken or sprained? Carolina Podiatry Group shares tips for telling the difference between these similar conditions that share many symptoms.